I had a conversation with none other than Meredith Schroeder of AQS yesterday. I have wonderful news that AQS is indeed publishing by book, due out in October of this year. I should have a preview soon. As long as it is selling well, it will be possible to get reprints of it. At this point, my concerns are alleviated. It is still disheartening that AQS is no longer taking new book contracts. Their books were always (IMHO) superior in quality to others. 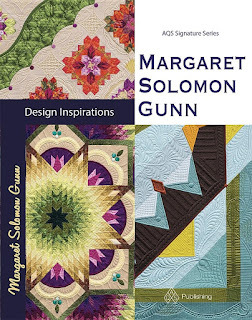 Quilt times are changing... Amazon has this book already listed for presale, as does the AQS website. Sadly, all 2017 books were terminated. For the most part, the exhibit was chronological, but this little beauty (choke, choke) somehow got placed among some of my 2012 quilts. I nabbed it from my mother's house, as it is her's. I got several "thank you's" from other quilters for daring to include what is the oldest and most definitely ugliest quilt I had access to. I did make quilts prior to 1995, but the earliest went to Goodwill over 6 years ago and the other resides with my brother (unless they have trashed it by now too). This is classic-ugly though with it's blue and peach and green calico fabrics, and absolutely no design sense whatsoever. It is hand quilted. Everybody starts somewhere; this is mine. When my daughter was born, I started three wall-hangings -- this is one of them. They were to be my "Legacy Quilts". Each is different, but they all share some of the same fabrics. Two of them are finished, and I sent this one to hang at Hershey. It's also hand-quilted. My color and design sense is at least tolerable here! In 2008, I started this quilt for my daughter's bed. She was two. They are hand appliqued, and it is also hand quilted. It goes on her bed part of the year, when she has the fancy to use it. Being that she is now making quilts, there are three others that this gets to alternate with! It's called d"Girly Fun". Alas, I have learned that quilts need to be named and labeled! This went to the Maine Quilt Show in 2009 and got a whopping Honorable Mention. The quilt hanging beside it ("It Takes a Village") is also my mom's. It is one of the first that I quilted on my longarm. Stitching is very simple as I was much more interested in the piecing. My quilting skills had not been honed. I'm a bit out of order by a year or so, but this ("My Summer") is a little mini I made after making a similar one for a swap partner. It' raw-edge appliqued, which I NEVER do, and machine quilted using my domestic machine. 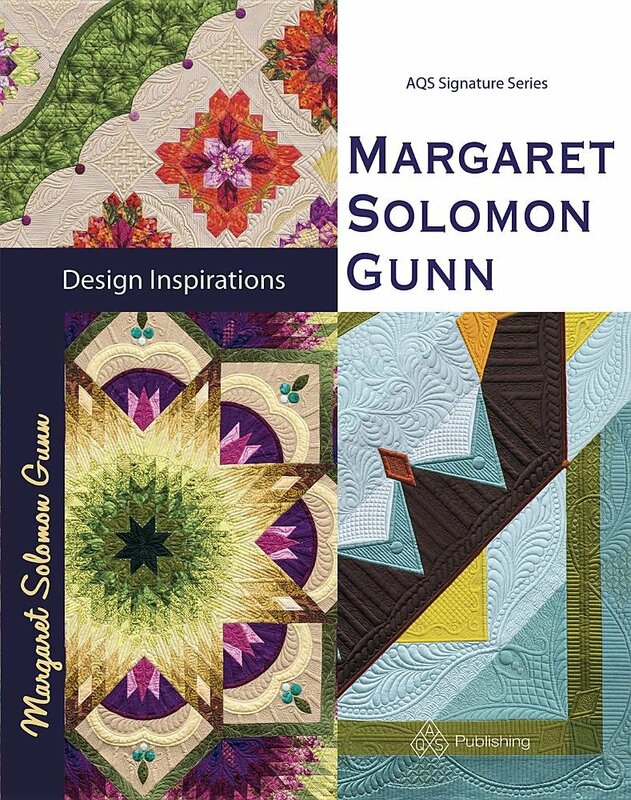 I was never very good on the DSM, and it was the fact that I wanted to make bigger quilts that motivated me to buy the longarm in 2009. Never the less, I really like the beachy scenes because the beach is just about my favorite place. If I were really being accurate, I would have sent my first accidental show quilt, "Summer on the Beach". For those interested, search the blog back to April 2010 (MQX). But, seriously, this quilt has horrendous piecing faux-pas and less-than-mediocre longarm quilting! It, however, was THE quilt that spawned my love of making show quilts. It is the reason you have the rest of these to see. The above piece "Primavera" is from 2010. It's hand appliqued batiks, and is longarm quilted. It did go to a couple shows. Mostly it lives in my study. The colors are me, as is the medallion style. The quilt on the left was actually started in 2009 at a Karen K. Buckley class on hand applique. If there is one person who I can say has influenced my style most, it's probably her. Learning a few of these techniques fostered my love of applique and handwork, which is actually seen on many quilts over the past several years. "Sea Glass", on the right is a fall 2011 finish, and one of two I have done that is not a symmetrical medallion style. Being the engineer, I feel most comfortable designing and quilting the medallion quilts, so this will just never be one of my favorites. One viewer asked me if the blue swirls were an octopus!...It's supposed to be a wave. My now-12 yr old loved to go hunting for sea glass at the time this was made. <>This is my 2011 quilt, and first intentional show quilt. "Cartoline da Venezia (Postcards from Venice)", made to depict an inlaid Italian floor, was also my first Best of Show, earned from the Maine Quilt Show. I hate the colors in this - they are not me and the experience of making and showing it taught me to follow my own inclinations about color. Quilts for show are often very colorful. So that is exactly what I did..."Zen Garden", which is very recognizable with the viewers since it went to nearly 2 dozen shows, and has been in several magazines including a MQU cover-girl, is all me. It's scrappy, pink green and purple. It has a couple BOS's in it's history. It was supposed to be in a book too, but we can thank AQS for all of it's mis-doings in closing their book publishing. More on that crap another day. This is another of my 2012 quilts, "Meet Me at Giverny". It shares many of the same colors, and is named for the lavender print which always reminds me of the Money water lilies paintings when seen up close. On this, I hand-painted a detail for the first time. This quilt too has a couple of BOS's, but is lesser known to viewers than Zen Garden. "Shenandoah Falling" (2014) was made as a modern quilt, but it was never modern enough for any of the judges, despite the quilting being much more edge and graphic. It's my other non-symmetrical quilt. After the first crash-n-burn with brown, I did go that route again, but these colors are more pleasing to me. It earned a couple of ribbons, but its claim to fame is probably having been on a bill-board and much of the 2015 Paducah signage and advertising! The small quilt above on the left "Kaleidoscopic Calamity" is another 2013 finish. Though this has shown well, even earning a top-8 award at AQS Paducah in 2014, its not the "love of my life" by a long stretch. The fabrics were ordered sight-unseen. I didn't really like how thick they were, but being frugal, I made the quilt anyways. Everyone knows about Rainbow Nouveau (2012) and it's bleeding problem. It is the reason I can so intelligently and passionately preach prewashing (and Vicki Welch's advice on how to get rid of a bleed!). "Autumn's Surrender"(2014) is my first of the silk Radiance quilts -- the beginning of a passion that I don't see ending too soon. Viewers love the way the quilting looks on both of these silk quilts I sent to the show. Simple piecing, gorgeous quilting. This isn't my typically chosen color scheme, but the icy colors sure do personify the stitching. "The Jester's Folly" (2015) is one of my faves. Doesn't get much better than pink and green. The last one, and she hung on the backside of the aisle, is "Big Bertha" (2013). Though many of my quilts have won Best of Shows, this was the first one that truly surprised me. It was MQX, and I just never saw it coming. OK...correction, I never really see them coming, but I didn't expect to BOS at MQX well, ever! The lighting at this quilt was fantastic, and judging by comments I overheard, it was a favorite of viewers. July is nearly 2/3 over, and the last 4 weeks have been a blur. A complete and total blur. We went to Mexico for 8 days as soon as school got out, but it just does not seem like it has been 23 days since returning. I have been THAT busy! Doing what, you ask? !...Mostly trucking my middle kid (12 yr) around to all-star baseball games. First, it started with three district games. It took playing all 3 in order to win the district. Then, it was a practice tournament - 5 more games. They were practicing for the state tournament. There were 6-8 practices (every day this past week), another practice game, and the culmination - from this past Saturday to today we have been playing State tournament games. They got out today in the semi-final. It was a really good showing, but it was far more than my son envisioned. That's him with the completely lack-luster look below. Most kids would just relish getting the trophy. He's different. All in all, I estimate driving over 1000 miles, sitting for 25-30 hours at games -- a total of 13 games. My poor daughter was SO ready for it all to end since she's not old enough to be at home alone. We did this in all weather too -- 95F sun, and absolute pouring rain. Oh the fun. During this craziness, I packed up 16 of my quilts. They went to a retrospective exhibit that is at Quilt Odyssey -- the show is this week! If you are near Hershey, PA go and have a look. I am also teaching 4 classes of 22 students. That is what 3 of these boxes are for. Prepping to teach takes forever...even more so when you have to rationalize every thing you are putting into the boxes because it costs $$ to ship. I am excited about my classes and getting to share some fun stuff with new quilters. I am also well in need of a quilty-retreat, even if it is a working week. Summer has had little bits of the usual. This year I opted not to fight the uncooperative kids. Sophie and I went berry-picking alone one morning. She's still happy to do things with mom. ...and she loves to bake too. Summer finally arrived in Maine and my gardens are full of color. I took my younger two to the beach and the lake one day last week. They play splendidly together. Though hard, I am accepting that my oldest is not interested in doing the fun things we always did. Easier to just walk away than to push him. Quilting?... (sigh)...just a little bit. I have done a couple of simple edge-to-edge quilts. The customs seem to take forever. I have on on the frame that I loaded a week ago. It will clearly be another week or two before I get it quilted. I plan to offload my kids to Nana's to conquer some quilting (that paycheck would be really nice, ya know! ), but since they want to go this week while I am in PA, not sure when the next opportunity will be. I quilted this piece for a CA client. It is a simple light custom, in plenty of time for Christmas. These are my pieced hexagons - or what I have this far. I am feeling a little blah about where they are going. It is looking like a really large quilt, and the layout at this point sort of leaves me unsure and underwhelmed. Time to ponder some. Or move on to a small silk quilt. For over a month it seems I have been working on getting a binding on this beast. It's 80" or so. The pipings (there are 2) took about 10-12 hours. Then I put an ivory silk binding on over half of it, hand stitched part of that down, then removed the entire thing. It didn't look right. Wasnt laying well. Hemmed and hawed for a couple days, then opted to use a black cotton binding. It's actually a batik, and I just never imagined the flat black would look so ideal. Now I am moving onto the finale of the binding - a corded variation. It won't be exactly as is shown, but those colors are used. When I finish this (If I finish this), I have plans to do a tutorial on what I did. The details make the quilt, or so I keep telling myself. So, not much else to report. I did get 2 quilts into Houston, surprisingly. With about 50% rejection, I was truly shocked to hear that news. I don't have plans to go because I am teaching at MQX Midwest 10 days before that show. Despite mentioning this a number of times, I am still getting nice comments and questions from readers that are "Blogger No-reply". The implication of this is that I cannot answer your questions. Here's how you can fix this. I have posted this information previously. Similarly, I wrote an article that was published last August in Machine Quilting Unlimited that addressed the subject. I still, however, continue to receive a number of emails about what to do when a quilt you have made has bled when it got wet. Sometimes this happens when you wash them, and often it is while trying to block the quilt -- a process quilters use after quilting to get the quilt flat and square again. Once again, I will ask those of you that choose to leave me comments to double-check your settings. If you do not have an email address defined within blogger, it will send me your message as "no-reply" and I cannot reply my answer. So this past week, back from a week in Mexico, I decided to muster the energy to block this quilt. Her name is "The Twisted Sister", and she's definitely twisting my patience. But I am older and wiser, and more patient to the ways of fabrics when they decide to bleed. In my humble defense, I thought I had pre-soaked every fabric I expected to potentially cause problems. That is always your first line of defense to prevent bleeding. More than just prewashing...Presoak that fabric in very hot water for a few hours. Presoak! I especially do this with the silk Radiance, as it bleeds unpredictably. I refuse to use the chemicals on the silk, so presoaking is best. The quilt actually blocked out very nicely, and I was able to align all of the narrower borders. It wasn't until the following morning that I started seeing hints of dye where it did not belong. I knew that the zebra fabric had bled, and I wasn't going to be happy until I fixed it. Draw a bath at least 1/2 full with the hottest water you can get from your tap. Add 1/4C of Dawn dish detergent into this tub, and mix it around as the water fills. Which type of Dawn to buy?...honestly, I don't know. I use the blue stuff, and it does a fine job. Next loosely fold your quilt with the quilt top folded outwards. This is so you can see if the bleeding areas are improving. Put quilt into tub, and submerge. You can use plastic containers filled with water. I used my laundry basket. You need to move the quilt around periodically. As the water cools, check the areas that had dye migration. If it does not appear gone after 2-3 hours, drain the tub and repeat the procedure. I have done this for as much as 8-12 hours. Do not dry the quilt in between. When you think you are done, drain and fill the tub with cold water (no Dawn) and allow the soap to soak out of the quilt for a short while. Drain and you are done. Lastly, gently roll the quilt on top of many towels to remove some excess water. I do not put it into the washer to spin, just place it onto my foam core boards and block. This procedure works for silk Radiance fabrics and cottons. Do NOT do it for dupioni EVER. Bleeders can really stress us out as quilters, as we have spent hundreds of hours making our quilt. It is so important to remember that these are generally fixable, so please DO NOT STRESS! Be calm. If you see a bleed, don't put the quilt into a dryer before trying to fix the bleed. That may heat-set the problem for eternity. I have had these nuisance bleeders on several show quilts, despite actually prewashing or presoaking most fabrics. Sometimes there are dyes that are overly prone to not staying where they belong! I have coached a dozen quilters on this procedure after they had a bleed, and ALL report that it works. Thanks to Vicki Welsh that did the early leg work to establish these guidelines, and who talked me through them on my first disastrous bleed. Spread the word so that others know what to do. Synthrapol...many like to jump to this as soon as they see a bleed. I won't use the chemicals on the silk as it can affect the sheen. Additionally, it is not available locally for me, but nearly every grocery store carries Dawn, and at 1/4 the cost of synthrapol. Color catchers...These are no longer available in my local stores either. They work better for fabrics being prewashed, but all they really do is give you an indicator if there is still dye migrating into the water. I still advise soaking, rather than just washing. I am happy to report that my quilt is back to normal, and is in the process of getting its binding.